All of the photos on this page were taken by George Barris, and are copyrighted and belong exclusively to him. http://www.georgebarrisphotos.com A big thank you to Mr Barris and his daughter Caroline for sharing these fine pictures with me and the visitors to this web site! George Barris is one of the great celebrity photographers of the 20th century and his pictures of Marilyn Monroe are timeless in their splendor. The pictures on this site are from Mr. Barris’ book, Marilyn – Her Life In her Own Words. This is a book which no serious collector should be without! On June 1st, 1962 Mr. Barris, internationally renowned photographer and journalist, arrived at the Hollywood movie set where Marilyn Monroe was making her last film, Something’s Got To Give. 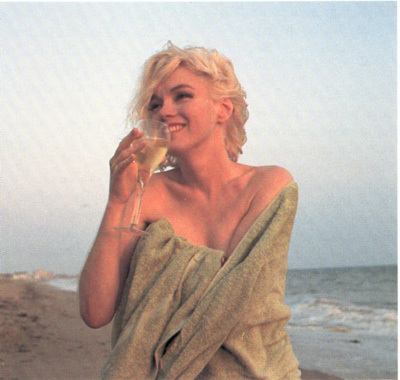 It was Marilyn’s 36th birthday, and George Barris was assigned by a national magazine to photograph and interview her. For the next six weeks, George Barris photographed Marilyn on the beach at Santa Monica and in a house in North Hollywood where she was unencumbered by makeup and artifice. During these sessions, she told him the story of her life. Marilyn monroe is my heart-touching personality. I want to know all about Marilyn Monroe and collect her pictures and movies as much as possible. I also want to collect her death photos and death documentary materials.